The Pure Slider is a good compromise between ease of use and locking safety. 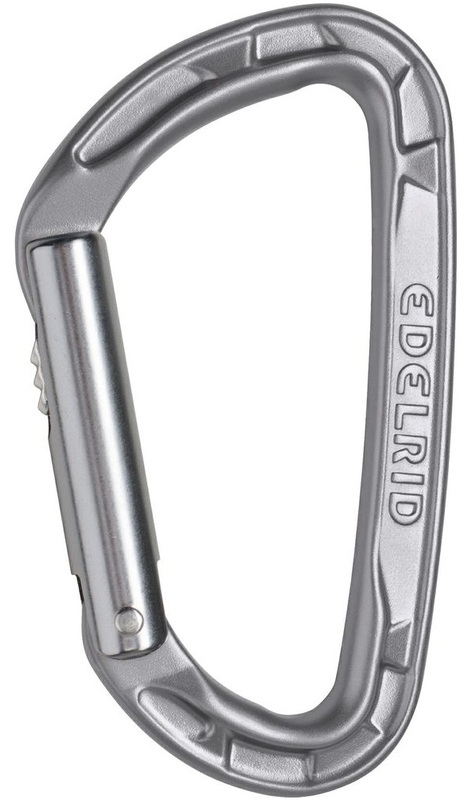 It’s technically a locking carabiner since it requires a second action to open the gate. However, that action is just a simple thumb slide, so you won’t be fussing about with gloves on. The pure features fast clipping and unclipping with minimal risk of accidental opening, perfect for wandering routes or a race-speed via ferrata. Certified to EN 12275 & EN 362. H-Profile design decreases weight and improves rigidity. Bottom Line The Bermuda Triangle of carabiners: suspiciously easy to get into, impossible to accidentally find your way out. I have found this biner to be very good at freezing either closed (annoying) or open (potentially fatal). Its shape also does not lend it well to many standard auto locking biner applications. I'm honestly hard pressed to think of a good use for it. Perhaps setting top rope anchors. In the summer. The biner itself is actually quite good. I have been using the non locking version for years on the bolt side of many of my quickdraws, which is part of why I was so disappointed with this one.